When you've put multiple objects on the Stage, you will need to decide and rearrange which objects are on top of others and which objects are behind others. For example, when you want to use a picture or video object as a background, you will have to move it backwards, behind all other objects that are on the Stage at that moment. 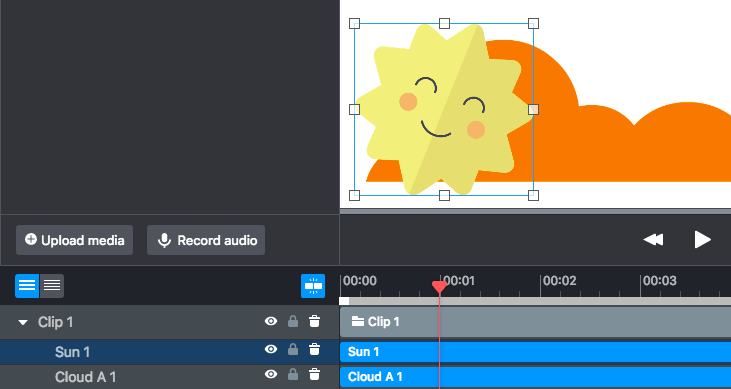 There are two ways to accomplish this: either using the object's right-click menu on the Stage, or using the layers of the Timeline. 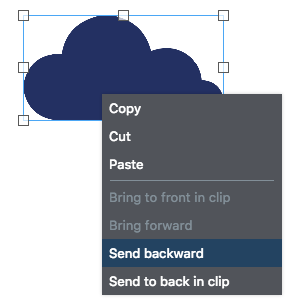 Use the different options in the menu to bring your object forward or backward. How do I change the background of my project?